The winter session of the Parliament ended on Tuesday, December 23, 2014. As reported, the Parliament sat from November 24 to December 23 and had 22 sittings. At the starting of the session, the Parliament had 67 bills pending before it, 59 in the Rajya Sabha and 8 in the Lok Sabha. Out of the pending 67 bills, nine were introduced in the previous session and 40 were introduced during the term of 15th Lok Sabha, the time of the UPA II. The remaining 18 have been pending for long, and were introduced during times before UPA II came into power. The previous Lok Sabha was also dubbed as the worst performer ever with 11 of Human Resource Development Ministry’s Bills having lapsed. 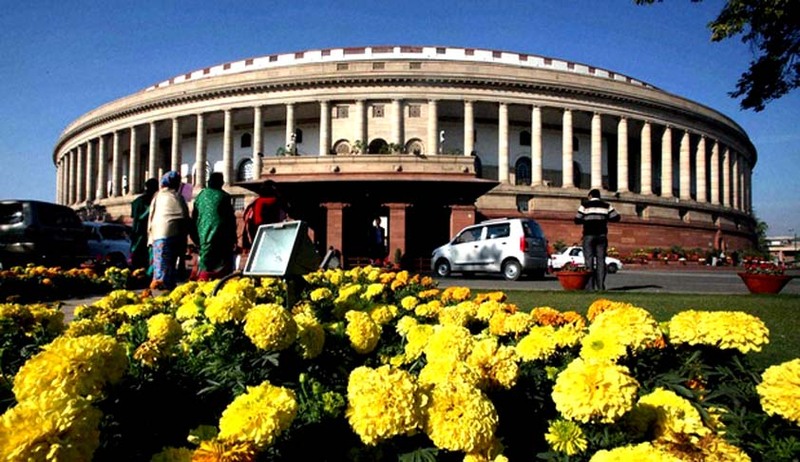 The winter session of the Parliament witnessed several disruptions. While the Lower House lost 3 hours due to adjournments and disruptions; the Upper House lost 62 hours. Interestingly, the Government enjoys a majority in the Lok Sabha while number of members of NDA in Rajya Sabha is not enough to constitute a majority. The Union Law Minister D.V. Sadananda Gowda informed the Upper House of the Parliament that there is “divergence of opinion among the state governments and the High Courts on constitution of All India Judicial Services”. Replying to a question in the Parliament, the Union Law Minister Sadananda Gowda reportedlysaid that there is no proposal to increase the retirement age of judges of the Supreme Court from the present 65 years to 68 years. He added that as on December 1, there exist 3 vacancies in the Supreme Court, which has a sanctioned strength of 31.
, introduced by the UPA government in Rajya Sabha in February 2014, received the nod from the Standing Committee.The Bill aims to raise the pecuniary jurisdiction of civil courts in Delhi from Rs. 20 lakhs to Rs. 2 crore. “There is no proposal to increase the judge strength of the Supreme Court” the Union Law Minister D.V. Sadananda Gowda informed the lower house of the parliament through a written reply. The Delhi Special Police Establishment (Amendment) Bill, 2014 was passed by the Lok Sabha through a voice vote. The Bill was introduced in the lower house by Mr. Jitendra Singh, Minister of Personnel, Public Grievances and Pensions. The Lok Sabha passed the Companies amendment Bill, 2014, which provides for severe punishment for those raising illegal deposits from the public. The Union Cabinet had approved the amendments earlier this month. While the Lok Sabha passed most of the bills introduced, the Rajya Sabha had patchy proceedings with several disruptions. Most of the Bills have been referred to Standing Committees or pending before them. On the whole, the Rajya Sabha saw more drama than action. As the drama continued, the Parliament did manage to do perform some legislative tasks. Following is the list as reported by the New Indian Express. The reforms initiatives could not get full acceleration as Insurance Laws (Amendment) Bill, 2008 was left pending due to the various disruptions that the Parliament witnessed. The Bill aims to raise the limit on foreign investment in Insurance from the present 26 percent to 49 percent. The Coal Mines (Special Provisions) Bill was passed by the Lower House on December 12 but remains pending before the Rajya Sabha. The Goods and Services Tax Bill was also introduced by the Finance Minister on December 19, with him stating that it will be considered in the next session. Both the houses discussed important issues like that of Black Money, dilution of MNREGA, safety of Indians abroad and forceful conversions were also taken up. However, the issue of conversion caused a stalemate between the Opposition and the Government and the proceedings in Rajya Sabha suffered due to the same, with the Opposition being in a majority there. Congress MP V. Hanumantha Rao was also directed to withdraw from the House due to his continued protests and shouting of slogans. However, the continued disruptions did not deter the Parliament from passing resolutions condemning the ghastly attack on Army Public School in Peshawar. The Rajya Sabha, on the last day also passed a Bill that will give relief to lakhs of dwellers in unauthorized colonies in Delhi. For further information on the Legislations (including those dealt with in the winter session of the Parliament), click here.